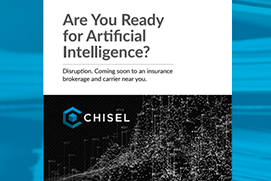 Double Your Insurance Business with Artificial Intelligence. Our artificial intelligence solution for commercial insurance brokers and carriers boosts sales, reduces human errors, and increases customer satisfaction without adding staff. Faster than a human at reading unstructured insurance data. Average policy check time versus hours or days. Increase in underwriting capacity by automating routine tasks. Perform data extraction, policy checks, quote comparison, submission triage and submission prioritization in minutes instead of hours. Reveal business insights by freeing trapped information from unstructured insurance data sources 400 times faster than a human, with significantly greater accuracy. Digitize and standardize high-volume, repetitive administrative tasks by augmenting your staff with digital employees. Transform underwriting workstreams by automatically routing and prioritizing submissions to identify the right business to write during the intake process. 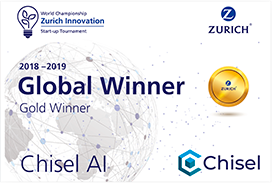 Winner of the 2018 ACCORD Global InsurTech Innovation Challenge & 2019 Zurich Innovation World Championship. Discover if your organization is ready to adopt artificial intelligence. Allocate time-consuming, repetitive clerical tasks to Chisel’s digital workforce. Save money by reducing the labor and risks inherent in traditional manual methods. Automate manual, error-prone administrative tasks. Shift your employees from low-value admin work to high-value account management. Spend more time delivering bespoke customer service to all your customers. Realize your vision of being the platinum standard for risk consulting in the insurance industry. Extract policy-level data from your digital documents in near real-time. Chisel helps enable straight-through processing. Import data into your analytics tool in your preferred format, whether ACORD, CSIO, XML, JSON or CSV. Discover if you're ready to adopt artificial intelligence. Use this checklist to find out. 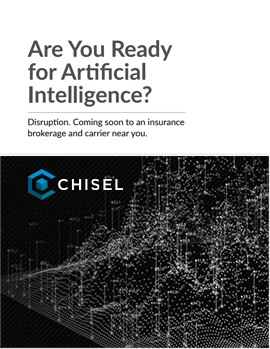 Chisel to partner with Zurich to drive innovation and transformation in the insurance industry. 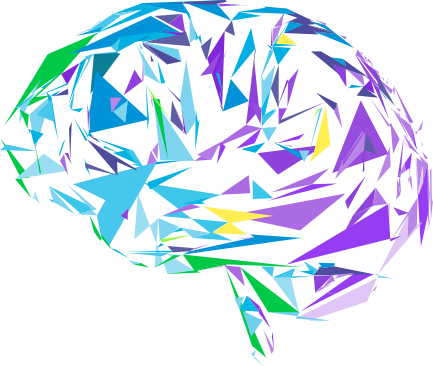 ACORD recognizes Chisel AI’s powerful platform. 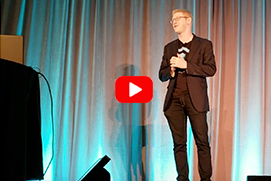 See Ron Glozman, CEO, Chisel deliver the winning presentation.